Özkan Gölpinar is an art critic, curator, writer and lecturer. Özkan Gölpinar (1968, Sivas, Turkey) lives in the Netherlands and lectures at several art academies and universities. Currently he is a member of the Council for Culture and legal adviser for the Dutch government in the fields of the arts, culture and media. He is also an affiliated researcher at the Leiden University Centre for the Arts in Society, working on a publication that features the ways that Dutch/European Art History has been reinvigorated in the last two decades by global movements. 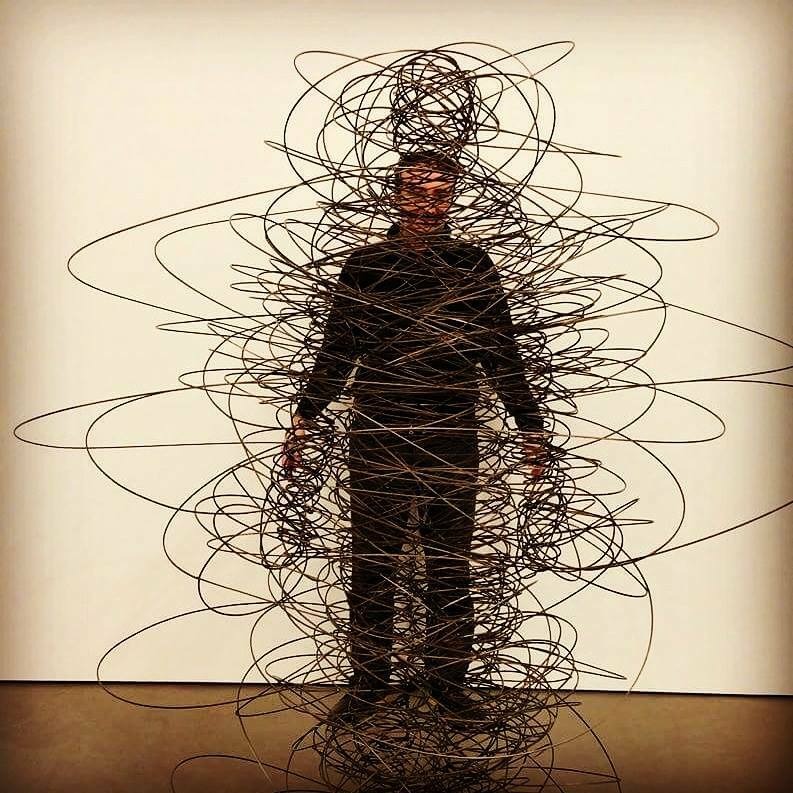 He has authored numerous articles on art and artists. In his former position as programme manager for the Mondriaan Foundation he was responsible for 400 national and international projects in the field of Fine Arts, Artistic Film, Architecture and Design. He created the programme ‘Art Beyond Borders’ to advance meaningful artistic dialogue between the Netherlands and the rest of the world (with a special focus on the Middle East, the Caribbean, and Western and Southern Africa), by analysing and commenting on contemporary art practices and approaches. After his studies in journalism and postgraduate film and television studies, Gölpinar worked as a journalist and documentary filmmaker for the daily newspaper, the Volkskrant, among other media. 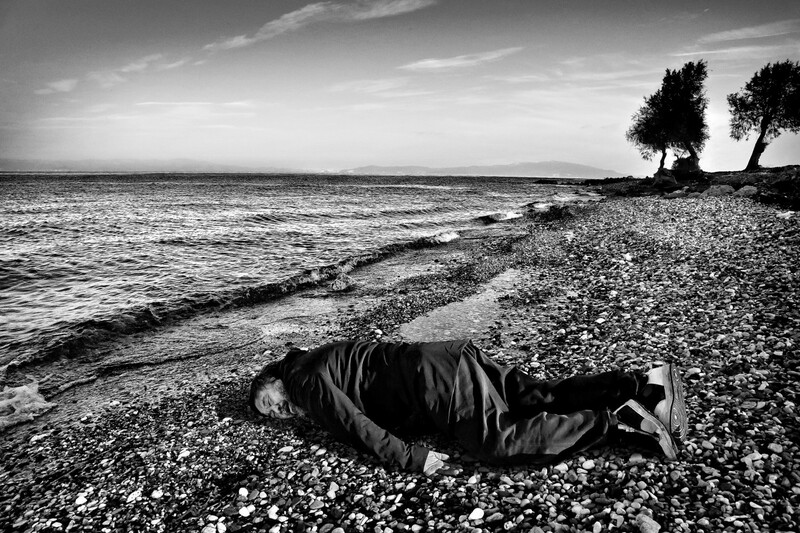 Large photo: The controversial photograph of the Chinese artist and activist Ai Weiwei posing as the drowned Syrian toddler Aylan Kurdi, Lesbos 2016. Photo: courtesy Ai Weiwei. This Position is related to the CA PUBLIC! Un-/stable Narratives: Artistic Views on Migration, with lectures by Eva Leitolf and Özkan Gölpinar, which has been initiated by Camera Arts, Lucerne University of Applied Sciences and Arts, Lucerne School of Art and Design on March 3, 2016. The globalisation of the modern art world is a fact. The rise of new economic powers has led to a shift in the balance of power in the art world as well. No longer is there one centre. Instead, we are faced with a mosaic of centres spread around the globe, which do not share a coherent, universal art-historical vision and sometimes collide. In this situation, storytelling and memory practices are a key to look at the past and the future of Europe. The way each artist tells his or her story and remembers the past is intimately tied with power, with state and resistance, not to mention artistic and in collective action. Artists like Lars von Trier and Ai Wei Wei manage to find a breach in the fence by provoking the viewer. They guide us with artworks that show how history – of a personal and broader nature – often oscillates between the realms of forgetfulness, nostalgia, melancholia and remembrance. They show us how, our identity might hover between the materially tangible and something ephemeral, which disappears like a phantom. Their work expresses the contradictions faced by artists who must perform multiple roles in societies that are constantly shifting in the manner in which they are mediated, articulated, and presented. Together, they illustrate fragments of the distorted imagination that reflect on works within the contested territory of representation. The imaginary is a spectral and lingering moment between being there and not being there: between absence and presence, between personal memory and the contemporary that the artworks address. Their journey started perhaps as a provocative one, but they have managed to position themselves and their work as part of a universal conversation. All art is political in the sense that all art takes place in the public arena and engages with an already existing ideology. Before Ai Wei Wei, the French satirical magazine Charlie Hebdo had also depicted Aylan Kurdi, in which the three-year-old dead boy is shown in the sick mind of their cartoonist as having grown up and become a sexual predator violating European young women. For Ai Wei Wei, re-enactment does not consist of repetition as it is usually understood, but it is an attempt, an experience, to introduce an element of the past into today’s public and political arena. Rendered in black and white with an overwrought background of sea, sky and two mournfully arched trees, the photograph – which Ai said was a “spontaneous” idea that arrived between the photographer, the journalist and the artist – comes across like a Camera Arts‘ first-year art student’s attempt to tell us, not show us, that something is sad. If he’s identifying with Kurdi, he shouldn’t – there are no useful comparisons to be drawn between a refugee child dead at the age of three and a highly successful big bellied living artist. It is, however, an accomplished piece of viral imagery – a very specific kind of viral imagery, too: the kind that piggybacks on another viral image with slight variation and without adding anything. It is a meme. And like all memes, it got attention. And of course, just because it gets attention doesn’t mean it’s good art, and it certainly doesn’t mean it’s good political art. Art’s autonomy is a fact of modern Western history. This autonomy refers to the practice as a whole. All works of art, qua art, partake in this autonomy. What turns the moral evaluation of art into such a confusing issue is that works that confront us in an engaging manner with moral issues do so against the very background of this, art’s moral autonomy. Berys Gaut’s ethicism holds that moral defects of works of art are pro tanto also aesthetic defects. Berys Gaut, „The Ethical Criticism of Art,“ in Levinson (ed. ), pp. 82-203. Gaut does not think that some moral flaw can overrule all aesthetic merits, as the moralist submits, but that art critical judging encompasses aesthetic considerations as well as moral ones, and that both together sustain the final critical verdict. The moral considerations concern the attitudes that a work incorporates, causes in its beholder or presupposes in its maker. Any moral flaw in these attitudes can legitimately be held to diminish the overall merit of the work. My interest in showing Ai Wei Wei´s work was about referencing the past and reactivating it in the present, in order to ask questions about where we stand today. This way we can confront the viewer to understand which imaginary we put forward, which one we accept to adopt, and which history we choose to write or to allow to be written about us. Engaging fully with the range of different cultures, communities and complex and colliding identities that make up the face of contemporary Europe is imperative for everyone, not only for social but also moral, business and last but not least artistic reasons. As artistic and cultural facilitators, we need to be responsive to these changes and proactive in building bridges to facilitate excellent art. In short we need to discuss. Academies like the Hochschule Luzern can create a discursive space. By doing so they enable every individual student, teacher and visitor to experience and interact with new visions and contexts from all around the world. The need to bring these colliding images and thoughts is growing. The globalisation of the modern art world is a fact. The rise of new economic powers has led to a shift in the balance of power in the art world as well. No longer is there one centre. Instead, we are faced with a mosaic of centres spread around the globe, which do not share a coherent, universal art-historical vision. In this situation, storytelling and memory practices are a key to look at the past and the future. It is necessary to critically reflect on visions and ideas that confront us with the dilemma’s and possibilities in depicting who we are. Artists can help us with the ways we look at the cities we live in, but also how we look at ourselves and others in the future. Art draws upon particular experiences – the moods, manners and preoccupations of a community – as well as the universal themes of love, loss or tragedy. This representation should respond to the full complexity of diversity and it’s varying many-layered needs. The cultural scene in Europe is surely richer if it represents a broad range of human experience.